Viewing 24 of 274 items. The perfect gift for the dedicated golfer. 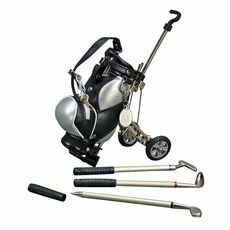 Our three piece golf club pen set with golf bag and cart will make any golfer happy. Remove the grips on the club handles to reveal the hidden pens. Three.. 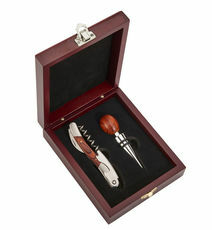 This rosewood finish wood box holds a bottle stopper with a rosewood color oval shaped top and a tool that includes a corkscrew and knife. This will be a great addition to any bar. 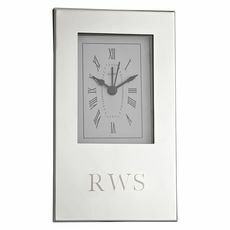 The box is a great..
An oversized silhouette alarm clock is a classic gift and offers a white faced clock with black hands and Roman numerals. 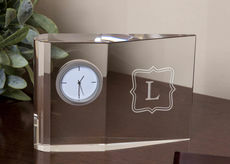 Finished in nickel plate to make it non-tarnishing, the clock is 6" tall x..
Set of 250 business cards, size 3.5" x 2" with the raised ink color of your choice for the name. Raised black ink for the remaining text. 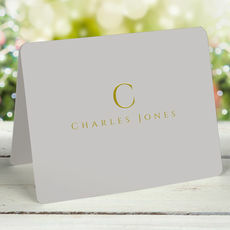 Positioning and uppercase lettering of the text is..
Set of 150 sheets featuring your initial at the top and your name at the bottom of the sheets. Flat printed in ink color of your choice. 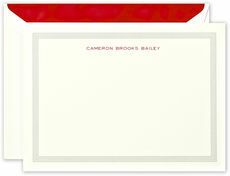 Size of sheets is 3.625"x 7.5". 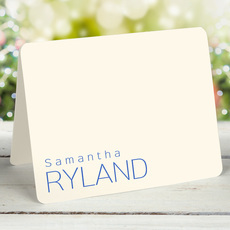 Typestyle and..
Personalized in navy ink atop Dalton blue, a card that offers inspiration of the sea and sky variety alike. Size 6.375" x 4.25". 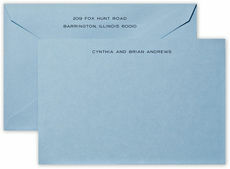 Matching blank envelopes included. 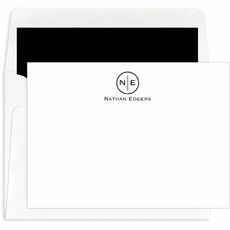 Envelope lining and return..
Sophisticated and simply wonderful set of 7 notepads, each with 100 sheets. 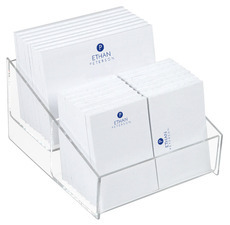 Total 700 sheets. 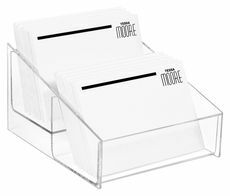 The sizes include 2 pads that are 3.2" x 5", glued on the top; 2 pads that are 3.2" x..
Set of 400 Post-it® Notes, 4"x3", flat printed in your choice of stock and ink color. 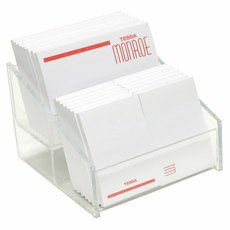 Set of 8 pads, 50 sheets per pad Typestyle, case of type and positioning only as shown. Post-it is a trademark of.. 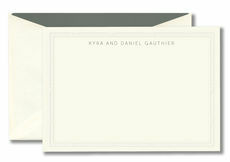 This ecru correspondence card features an embossed border design perfect for your personal social stationery wardrobe. 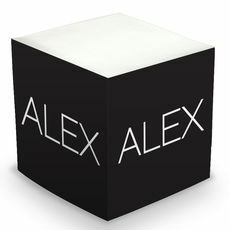 Your name is printed in raised ink color and typestyle of your choice. Size..